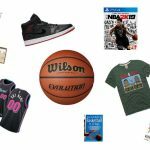 Recreational basketball hoops have had several innovations over the years. In the beginning, most hoops were either in-ground or were wall-mounted to garages in houses across America. The next big advancement was the portable basketball hoop, which could be easily transported and featured a fillable base with water or sand. 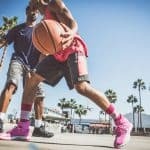 Spalding has come up with an all new innovation in terms of portable basketball hoop technology with their new Spalding NBA Hybrid Portable Basketball System. In particular the Spalding Hybrid Portable Basketball Hoop has changed the game on the portable basketball hoop base. In the past, all portable basketball hoops either had to be filled with water or sand. Now with the Spalding NBA Hybrid Portable Basketball Hoop you have a hybrid base that fills partially with 19 gallons of water in combination with up to 200 lbs. of sand or gravel. So, how does it work? It is pretty simple actually. The top part of the base is detachable and will fill with water, while the bottom half of the base is where you can put sand or gravel. 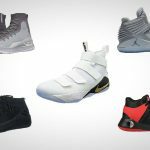 The advantage of this technology is that the Spalding NBA Hybrid Portable Basketball Hoop will be easier to transport than other portable basketball systems, and will make breaking down the hoop for winter storage a breeze. 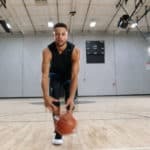 Going beyond the hybrid base featured on the Spalding NBA Hybrid Portable Basketball Hoop this basketball system has some other quality components. The Spalding Hybrid comes in two different backboard sizes: 54 inch and 60 inch. The backboard is made of acrylic, which is in the middle ground of backboard materials. There is padding that aligns the bottom of the backboard which is a way to enhance the overall safety of the Spalding NBA Hybrid Portable Basketball System. The rim on this portable basketball system is a heavy duty arena slam-it breakaway rim. This rim features springs that are covered by a metal case which works to reduce rusting over time. 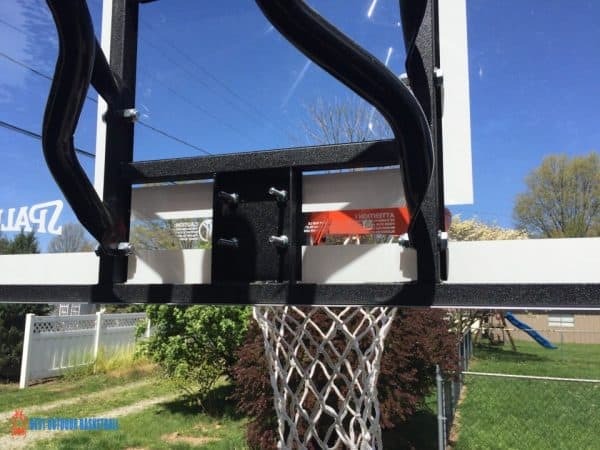 When playing on this hoop you will notice some vibrations when the basketball hits the rim during shots, but overall the rim’s performance is quite impressive. 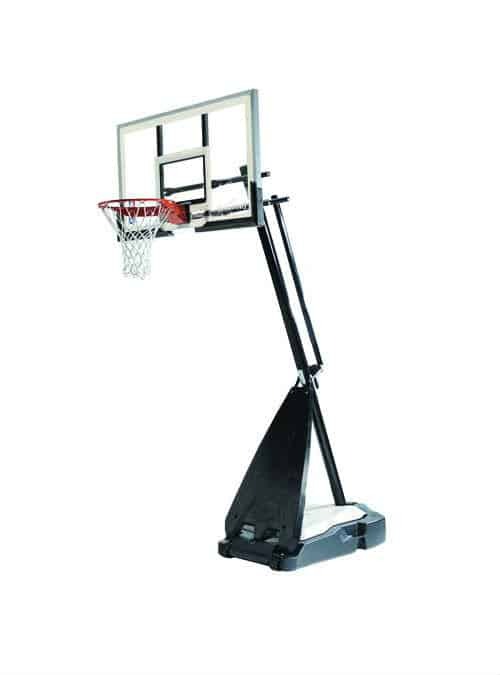 Lastly, the Spalding NBA Hybrid Portable Basketball System features a U-Lift height adjustment mechanism. 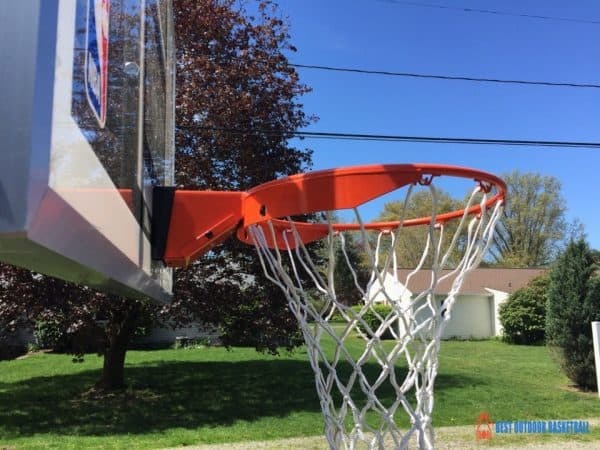 This type of height adjustment technology allows you to raise or lower the hoop from 7.5 feet to 10 feet in infinite increments making the Spalding NBA Hybrid Portable Basketball Hoop is a great choice for families with young children. Welcome to the future of portable basketball systems. 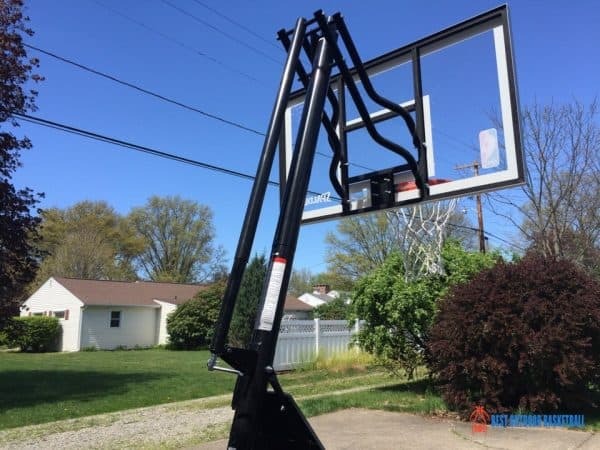 If you are looking for a hoop that will be extremely easy to transport and store then the Spalding NBA Hybrid Portable Basketball Hoop may very well be for you. 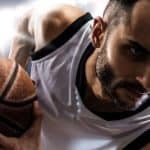 At the same time if transportability is not as high a priority, then other similar quality portable basketball systems still offer fairly easy transportation at a more competitive price point.